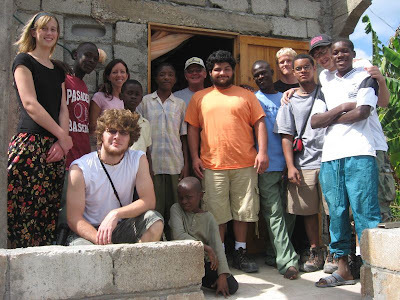 A group of students and leaders from the Great Commission Bible Institute (www.gcbi.net) recently had the incredible opportunity of serving for eight days in the town of Jeremie, Haiti and its surrounding villages. They were able to share the love and truth of Jesus Christ with many people as well as deliver much needed supplies to the missionaries working in that area. Many in the group said they were both challenged and inspired by several of the believers they met, whose unwavering faith in God produces strength, hope and joy in the face of so much difficulty. GCBI is a ministry of Grace Church in Sebring, FL.